1. What are the 2 main issues? 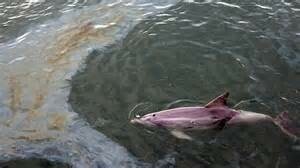 Oil spills are the most disastrous marine pollution. Oil can damage animals respiratory system and cell tissues. 2. Discuss negative effects on the environment. They can wipe off different types of species. 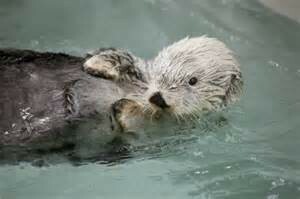 Oil spills are very dangerous and can kill aquatic life. 3. What are the regions or areas in or near North America affected by this issue? Oil spills are most common around the gulf. They also occur in the South. 4. What wildlife is most affected? Whale sharks are because they eat plankton. The oil kills the plankton which the whale shark eats. 5. How are wildlife affected by this issue? 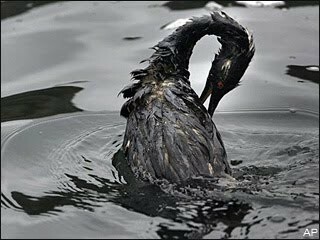 Sea birds get oil on their feathers and they try to fly but cant because the oil is so thick. 6. Does the issue affect our lives in League City? If not, could it ever reach our area? Right now this issue does not affect us. If there was a pipeline with oil in our neighborhood and it busted we would have an oil spill. 7. Are people affected by this, if so explain. People are affected by oil spills because the oil puts of a bad smell which is dangerous to humans. If the oil is crude oil, it contains 1000 chemicals which is very dangerous. 8. Who or what causes this issue to occur? 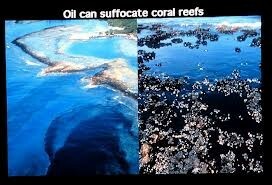 Humans cause oil spills to occur by bringing oil rigs out in the ocean. If the pipeline of the oil rig is ruptured, the oil will leak and it will cause an oil spill. 9.What are the solutions people have come up with? If there are not any what are people doing to prevent them? There is no actual solution to ending oil spills, but experts say that people can inspect oil rigs more often to prevent oil spills. 10. Come up with a new solution to your problem. Would your solution be able to be implemented now? Why or why not? 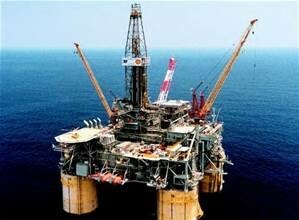 I think that we should come up with a device that goes inside of the pipe instead of having people inspect the oil rig. My solution could not be implemented now because we do not have that kind of device.